Is Your Ex Entitled to Your Separate Bank Account After a Divorce? Money can be a source of contention in divorce. While it is common for a couple to have a joint bank account, each spouse may also have one or more separate accounts. Knowing how the funds in these accounts are classified in divorce, and what steps you may take to add greater certainty to the process, will help you protect your property rights. Under the laws of most states, assets that are acquired by either spouse before the marriage, or those received as a direct gift or inheritance during the marriage, are deemed "separate property." Separate property typically does not go through the property division phase of divorce and instead remains with the spouse that acquired it. All other property is considered marital property and is subject to division. 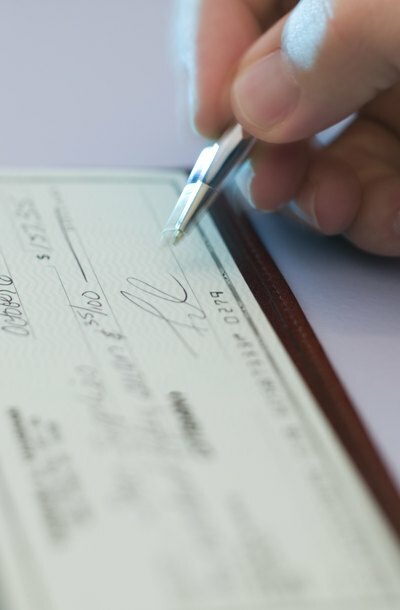 It is important to note that although bank accounts are often referred to as "separate" when only one spouse has his name on the account, this is generally not determinative of whether the funds in the account will be treated as marital or separate property in divorce. If you have both separate and marital funds in your bank account, the court must be able to distinguish between the two. If you have made a series of deposits and withdrawals of both types of property over time and fail to make an adequate record, the court may not be able to trace the source of the funds. This is referred to as commingling, and the typical result is that all of the funds in your account will be considered marital property and subject to division during divorce proceedings. To give you greater control over your property, most states allow you and your spouse to enter into prenuptial agreements. These agreements are created before you marry and allow you the freedom to decide in advance how property is to be classified and divided upon divorce. For instance, you and your future spouse may decide that any funds deposited in accounts that you open in your name during the marriage remain your separate property at the time of divorce, regardless of the source of the funds. You are also generally free to change the classification of property during marriage from separate to marital property or vice versa. This process is referred to as transmutation and requires the agreement of both spouses. Some states also require that the agreement be made in writing. Transmutation generally does not apply to commingled assets.